WAIST HIGH: Duran Duran Storm Worldwide Download Charts‎. Duran Duran Storm Worldwide Download Charts‎. 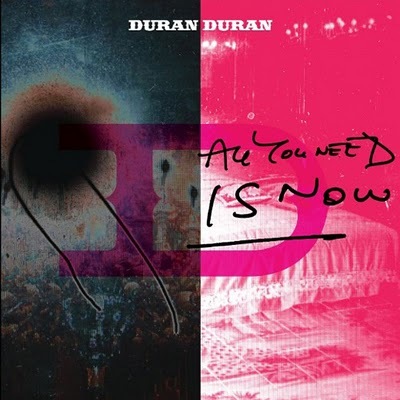 With the much anticipated release of their 13th studio album All You Need Is Now, Duran Duran went straight to #1 in the download charts in the UK, US, Canada, and Italy within hours of going on sale. From duranduran.com: The 9 track digital LP, and a music video download, was released worldwide Tuesday exclusively on iTunes and has already become a phenomenal success for the band who have worked with Grammy Award-winning producer Mark Ronson and mixer Spike Stent. 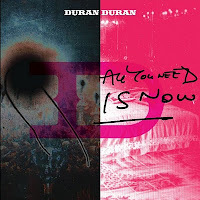 All You Need Is Now is a return-to-roots homage to Duran Duran's most celebrated musical panache. With a phenomenal career that has spanned three decades, selling over 80 million records, Duran Duran have been feted the world over with countless awards, accolades and critical appraise for their groundbreaking videos and pop art infused music, that are still as groundbreaking and fresh today as it was when the band’s first journey began back in 1978. They continue to push the envelope and shape the boundaries of music further with innovations in sound and collaborations. An extended physical LP and various format special packages of All You Need Is Now will be released in February 2011.